We accept Synchrony Home credit cards! If you don't have one, don't worry! You can apply with us! Enjoy six months deferred interest* on all qualifying purchases! *Our Kokomo location currently does not accept Synchrony. *The entire balance must be paid in full within six months of the purchase date to receive the special financing offer. Best Deal Home Furniture is the customers' furniture store. 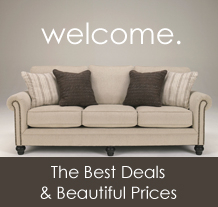 We focus on offering the best prices on quality furniture to you with friendly service. Browse our selection of furniture for your home or office online, or come in and visit us at one of our 3 convenient locations. 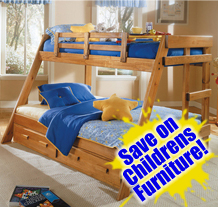 Sure, you will find great deals on Kids Furniture at Best Deal Home Furniture, but that's not everything! Visit one of our 3 convenient locations to browse our entire inventory of great prices on furniture for each room in your home or office. OUR THREE LOCATIONS ARE IN ANDERSON, MUNCIE, AND KOKOMO.